Portable and rechargeable LZ (Landing Zone) Marker kit. 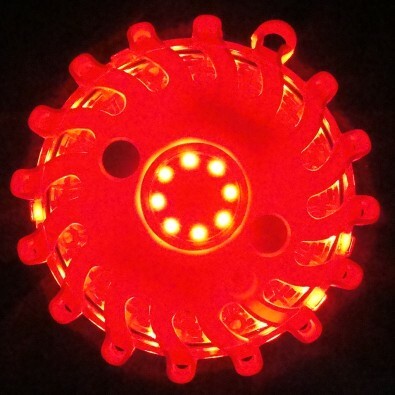 Unit comes with 6 programmable marker lights in Bright Red LED's. Marker Body is made of a heavy Duty Plastic protected with a rubber body. 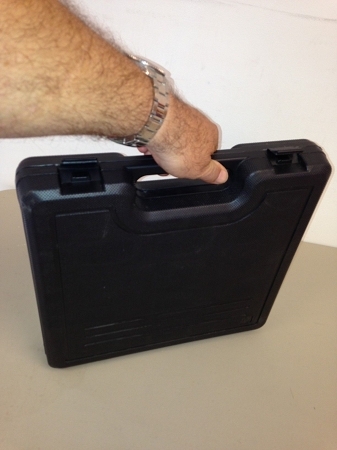 The unit is rechargeable with either wall or car charger, Both Included in a simple easy to store carry case. 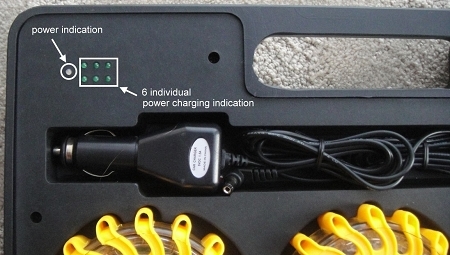 The case has six individual indicators which show the charge of each individual marker. Each Marker has 16 programs with the different light sequence for each marker. The unit will also work in Emergency vehicles for traffic control. Each marker also has a magnetic backing for easy attachment to any metal surface. Complete kit weighs 7 Lbs. We've utilized the LED LZ Marker kit for several weeks now and are very pleased with the product and performance. The "pucks" construction is proving durable and the choices for lighting configuration allow you to customize the way the lights work; red, white, flashing, revolving, etc. Due to the nature of our night rescue work (mostly on large fire incidents), having very bright LZ markers we can see under NVGs through some haze and smoke are an essential component to our operation and these LZ marker lights have performed quite well so far. I'll reserve judgement on the recharging aspect until we've put them through a year's worth of operations, but so far this has been a solid performing LZ lighting kit. We purchased these about a year ago and have worked out great. We keep them in our S&R trucks and the rechargeable feature lets us always have them ready. Great product.